This is a pretty generic error to be honest. The VPN connection failed due to unsuccessful domain name resolution. Firstly, (and obviously) the name you are typing in the AnyConnect window can be resolved can’t it? If not then you might want to consider some employment that does not involve computers. Secondly (this is what usually trips me up) did you copy and paste the name? If so is there a space on the end? 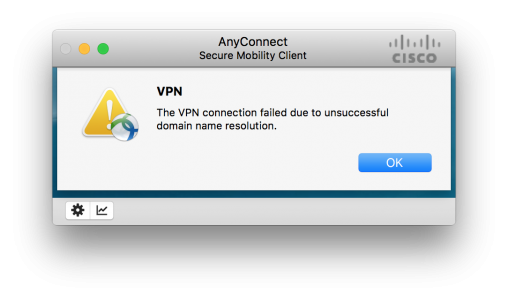 This name may also be incorrect in the profile.xml that’s associated with this VPN, to check, the location of that file is covered in this article. Also check that the VPN device, does not need to be connected to on a different port, as per this article. 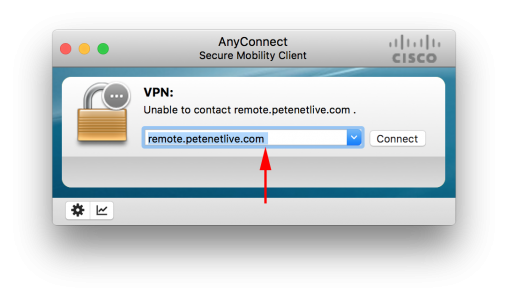 i want to know about the configuration vpn in Cisco ASDM firewall.Please share information to configuration vpn. Use the site search function, I’ve got a ton of articles already written.